Home » SEO blog » Google Search Console » What is an XML sitemap and why should you have one? Above is Yoast.com’s XML sitemap, created by the Yoast SEO plugin and later on we’ll explain how our plugin helps you create the best XML sitemaps. 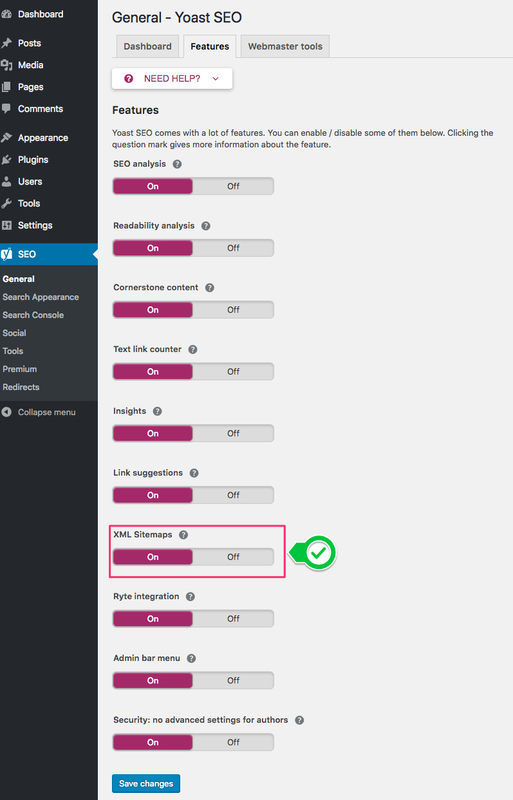 If you’re not using our plugin, your sitemap may look a little different but will work the same way. 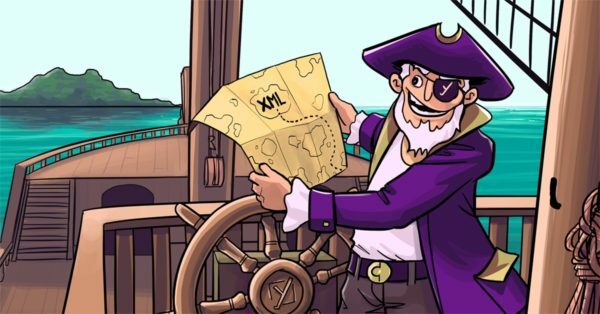 Here at Yoast, while we agree that these kinds of websites will definitely benefit the most from having one, we think XML sitemaps are beneficial for every website. 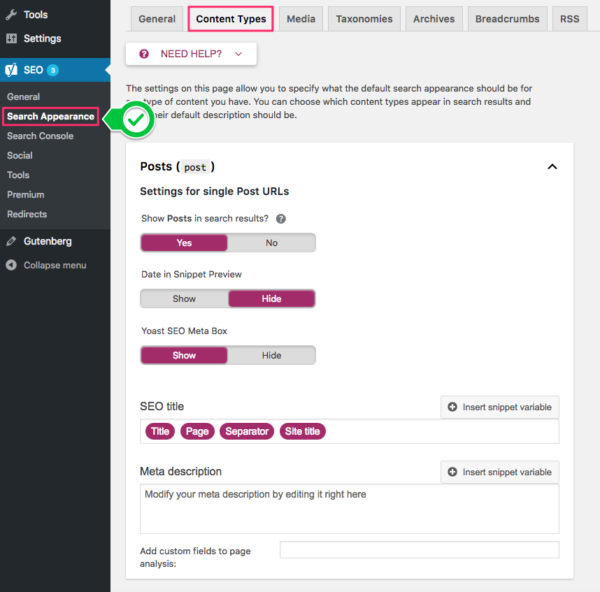 Every single website needs Google to be able to easily find the most important pages and to know when they were last updated, which is why this feature is included in the Yoast SEO plugin. 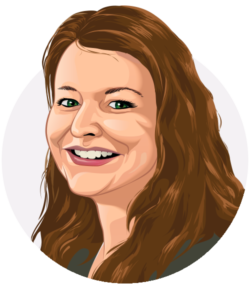 How do you decide which pages to include in your XML sitemap? Always start by thinking of the relevance of a URL: when a visitor lands on a particular URL, is it a good result? Do you want visitors to land on that URL? If not, it probably shouldn’t be in it. However, if you really don’t want that URL to show up in the search results you’ll need to add a ‘noindex, follow’ tag. Leaving it out of your XML sitemap doesn’t mean Google won’t index the URL. If Google can find it by following links, Google can index the URL. Say, for example, you are starting a new blog. You will want Google to find new posts quickly to make sure your target audience can find your blog on Google, so it’s a good idea to create an XML sitemap right from the start. You might create a handful of first posts and categories for them as well as some tags to start with. But there won’t be enough content yet to fill the tag overview pages, making them “thin content” that’s not valuable to visitors – yet. In this case, you should leave the tag’s URLs out of the sitemap for now. Set the tag pages to ‘noindex, follow’ because you don’t want people to find them in search results. The ‘media’ or ‘image’ XML sitemap is also unnecessary for most websites. This is because your images are probably used within your pages and posts, so will already be included in your ‘post’ or ‘page’ sitemap. So having a separate ‘media’ or ‘image’ sitemap would be pointless and we recommend leaving it out. The only exception to this is if images are your main business. Photographers, for example, will probably want to show a separate ‘media’ or ‘image’ XML sitemap to Google. 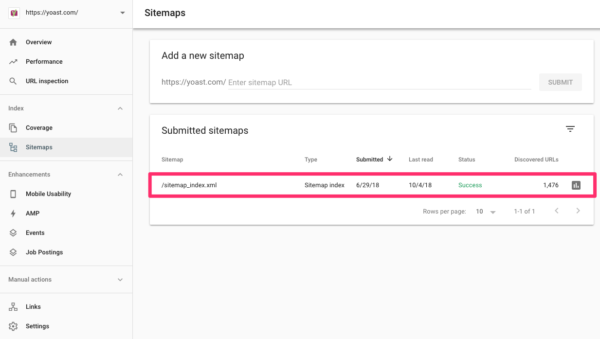 Because they are so important for your SEO, we’ve added the ability to create your own XML sitemaps in our Yoast SEO plugin. They are available in both the free and premium versions of the plugin. You can exclude content types from your XML sitemap in the ‘Search Appearance’ tab. If you select ‘no’ as an answer to ‘show X in the search results?’ then this type of content won’t be included in it. Now you’ve read the whole post, you know how important it is to have an XML sitemap, because having one can really help your site’s SEO. Google can easily access your most important pages and posts if you add the right URLs to it. Google will also be able to find updated content easily, so they know when a URL needs to be crawled again. Lastly, adding your XML sitemap to Google Search Console helps Google find your sitemap fast and it allows you to check for sitemap errors. 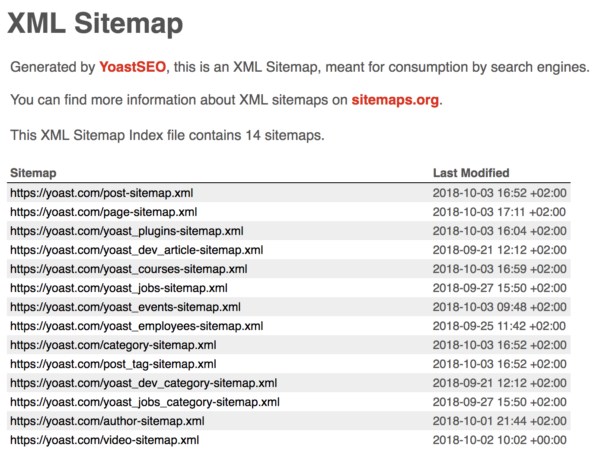 17 Responses to What is an XML sitemap and why should you have one? Its very useful article on XML Sitemap. How to generate manual XML sitemap in html site? XML sitemap is very important for every website because xml sitemap is search engine friendly and easily cawed by the search engines. Now i get importance of XMLsitemap to a website. XML sitemap is helpful to crawl and index our website. its really useful information to develop my website. Thanks for sharing this. Thanks for sharing this wonderful information. It helped me a lot while doing digital marketing’s exam preparation. Keep posting this amazing stuff. Really great Article.very helped me to know about XML sitemap. Thanks for this.Please share like this post!! Great and really essential post. I came to know a lot about this new concept. It seems that XML sitemap is an important concept for our SEO or we can say that it is a kind of roadmap of our site through which we can instruct Google to find our some important pages or blogs or many more. Thanks for sharing this informative post. The importance of Sitemap XML cannot be underestimated.. Apart from helping Google to crawl one’s site faster.. It is indeed very handy in many ways! Why can’t my geo-sitemap.xml be indexed by google? If you changed the content of a blog or page and you want google to index the new blog or page as fast as possible, what do you advise as the best way to make google aware of the change? I have recently been asked by a client ( via their SEO people) to add some code to the robots.txt file. Is it really necessary if a yoast created sitemap has already been submitted via google console? Por otro lado he tenido innumerables cantidades de errores 410, en los cuales clickeo sobre la URL y la imagen abre. I am using Yoast xml site map submitted to search console, bing, yandex.